We do great work with some lovely people and we’ll try to give you some in depth stories from time to time on the following pages. 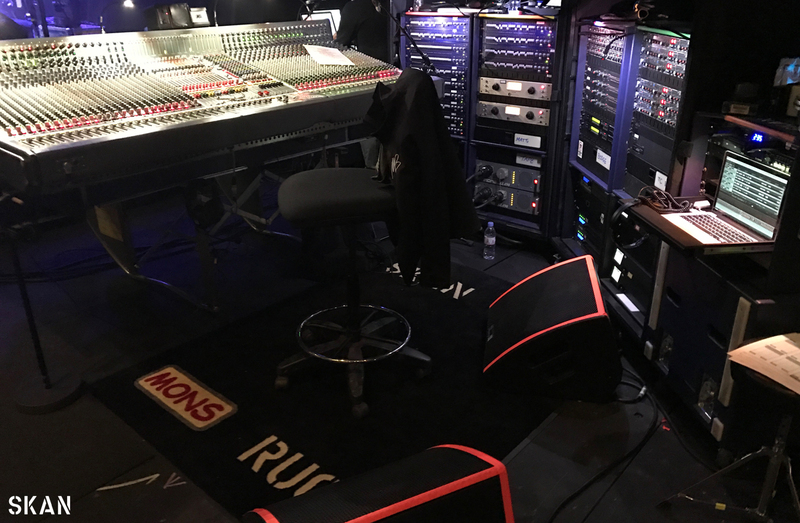 In Summer 2016 Skan was invited to supply a control package for Richard Ashcroft festival dates, this gave Skan the opportunity to once again work with acclaimed engineers Eds John (Front of House) and Matt Napier (Monitors). Due to the varied nature of the shows and budget restraints Napier chose to use a Midas Pro 2 based system, with d&b audiotechnic wedges and L Acoustics Arc side fills. Where possible Skan provided Eds with an Avid Profile. 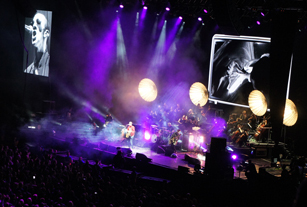 Richard Ashcroft’s year culminated with two shows in the Liverpool Echo and London O2 Arenas. 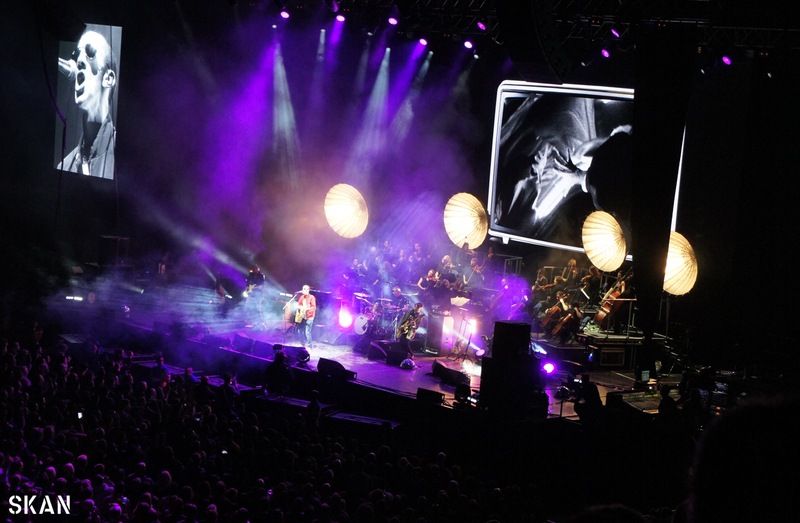 Making these shows that much more exciting was the teaming up with The Heritage Orchestra to bring the orchestral arrangments of Ashcroft’s hits to life. 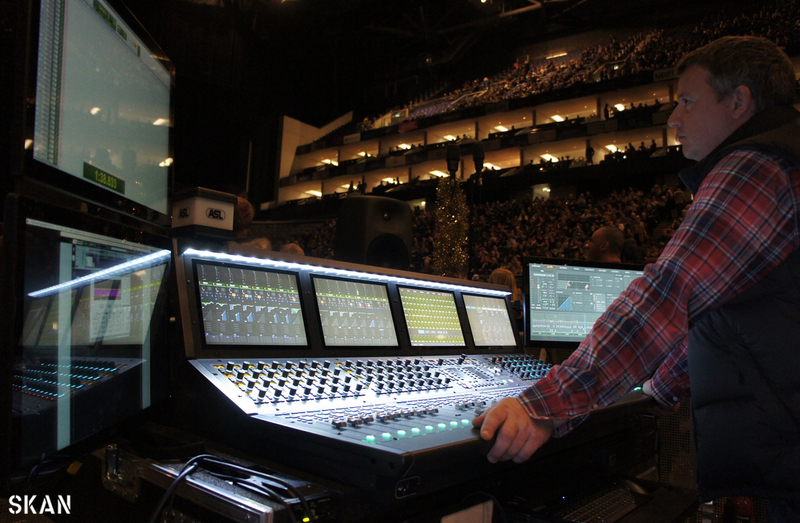 For front of house Eds specified an Avid S6L which gave Skan the incentive to add a couple of systems to our inventory. The E6L engine and HDX dsp provide a massive leap forward in audio quality and connectivity. As well as Stage 64 connected via HMA expanded beam fibre optics, the E6L Engine and S6L-32D control surface were also enabled for fibre connectivity. With a single cat 6 connection a MacPro was linked to the S6L for 128ch 96khz Protools recording and playback. For redundancy, we supplied a Reaper based system that was fed from the MADI split on the Stage 64. The MacPro also acted as a host machine for Waves Multirack Server. The audio for Waves was inserted on the console via an digigrid MGB and Madi 192 card. The PA of choice was d&b J, Y and B Series driven by d80. The flown system consisted of j8/j12 main and side hangs, with the addition of flown J subs. Making their debut for Skan was a pit sub array of 18 b22 subwoofers deploy in pods of 3 on custom 3 wide dollies. Also, y10p were deployed as front fills. 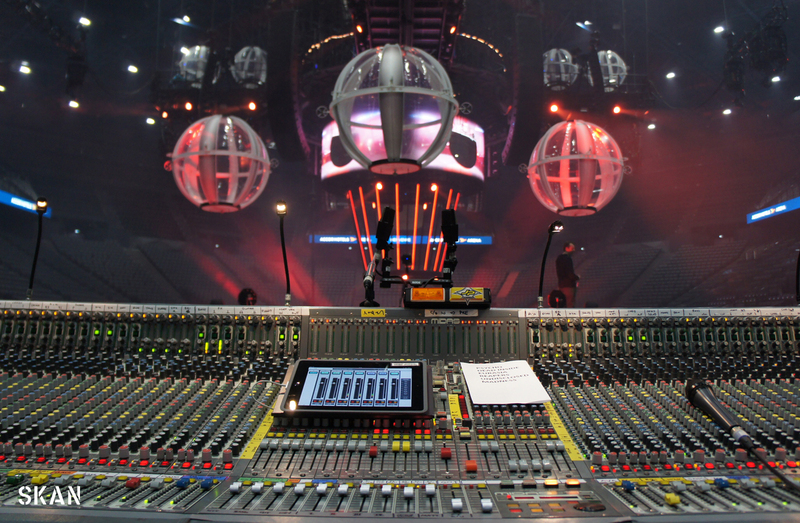 The audio and control for the pa system was distributed by fibre optic enable Dante network using Teqsas Cyberteq mainframes complete with AES output modules. 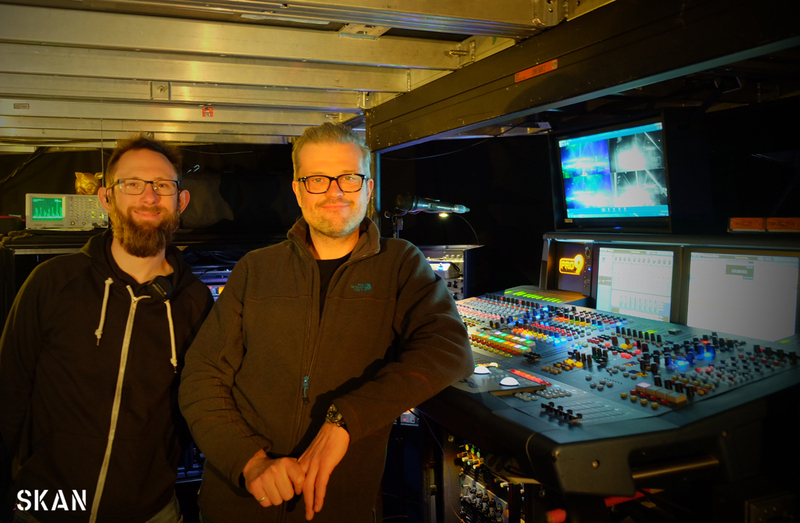 Traveling with the Heritage Orchestra, engineers Tom Gelissen (FOH) and Ron Peeters (Monitors) took care of the orchestra mix, whilst also providing a myMix artist mixing system for the orchestra. 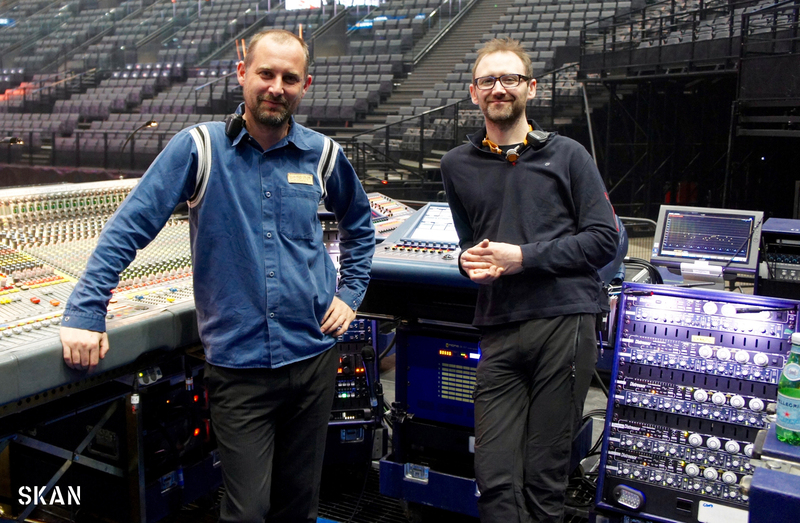 The Consoles of choice for Gelissen and Peeters were Digico SD5’s at each end of the multi. The SD5’s were on a HMA Optocore loop, sharing 2 SD racks, all running at 96KHZ. 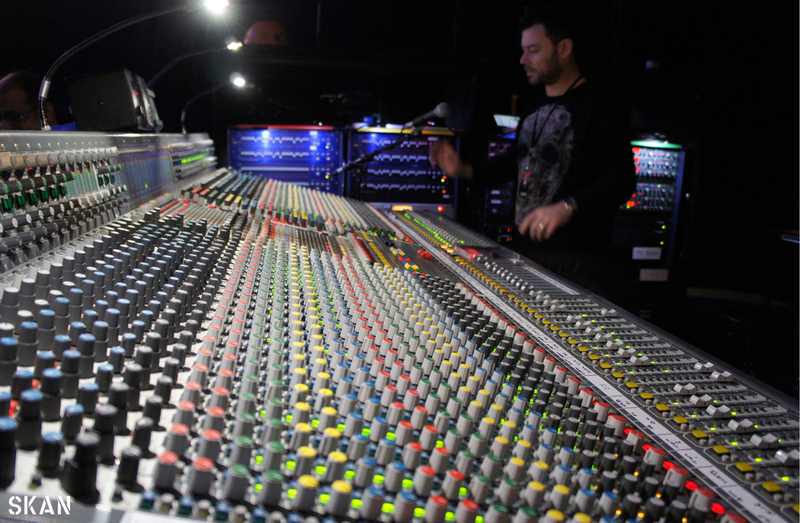 One rack took a split from Ashcroft’s analogue band stage box, the second rack dealt with inputs from the orchestra. Amplifying an orchestra in a situation like this comes with several challenges. First of all, the orchestra needs to fit in the “100dba plus” band mix out front. But even more of a challenge is the side effect of the large amount of condenser microphones on stage, which all work as an ambient signal for the drums, as well as other loud signals on stage. Besides that, the band plays only on wedges for monitoring and you want to give them a significant level of the orchestra on stage as well as a clean mix on the in-ear system of the orchestra. With all this in mind, Gelissen chose for a combination of microphones, custom made mounts and piezoelectric pick-ups. The mics of choice where DPA4099 and DPA4061 whilst piezo pick-ups where from Schertler. Besides that, a few overhead mic’s, Neumann KM184 were placed in the orchestra for the more orchestral moments. 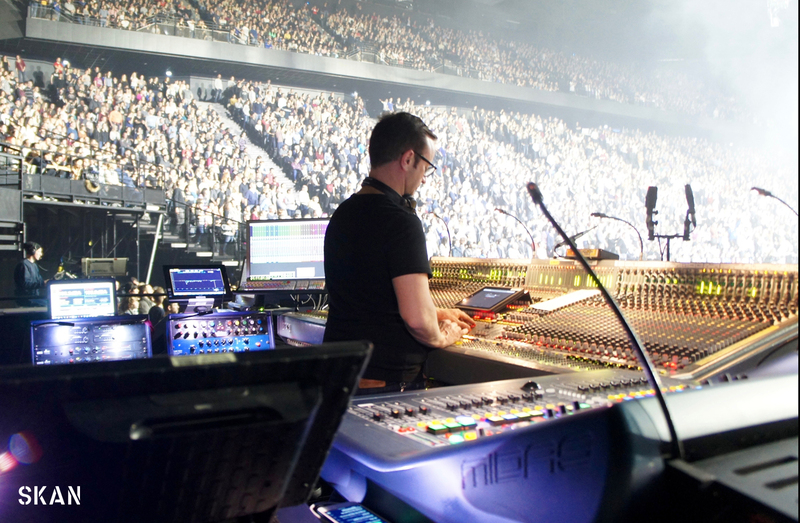 Peeters used the Madi outs of the SD5 to drive an AVB based myMix system back to the orchestra. 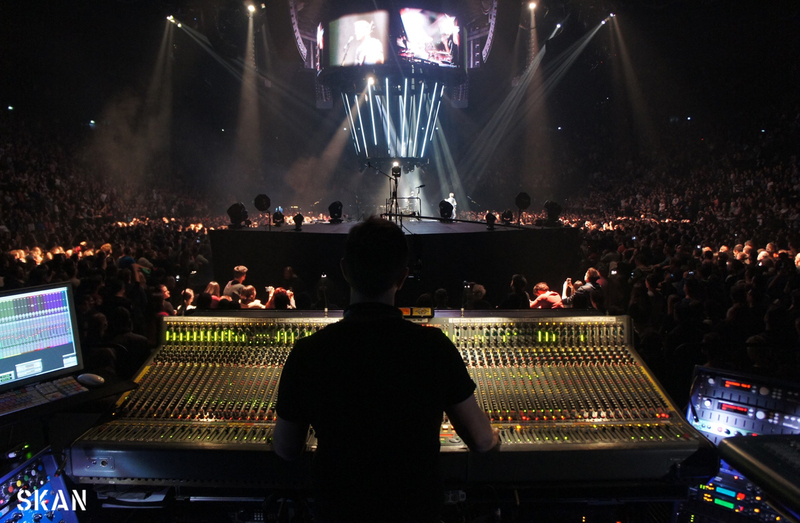 With a complex network, he gave each member of the orchestra control over his or her personal mix., based on pre-mix stems from the monitor desk. At the complete other end of the spectrum Matt Napier’s choice for monitors on these shows was a Midas XL4. Napier’s outboard was a selection of classic go to dynamics and FX. For the band Drawmer ds201, Dbx 160a, Summit TLA-100, XTA GQ600 and Yamaha SPX 990. To combine the orchestra into the bands mixes BSS DPR 402’s were used to compress stems provided by Ron the Heritage Orchestras monitor engineer. Also, Napier added a TC Electronic system 6000 for extra reverbs. On stage Napier utilized d&b M4 (Passively Amplified), q Sub and L-acoustics Arc/ SB28 side fills. 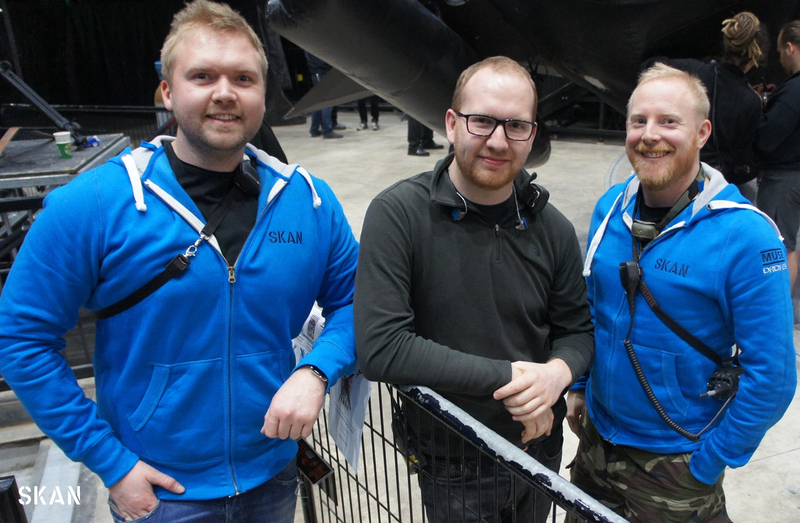 The Skan crew on the arena shows were Liam Tucker (Crew Chief and Monitor Minder), Tom Tunney (Array Expert and Front of house Minder), Rob Wilkins and Joss Walker were both PA wingmen also. 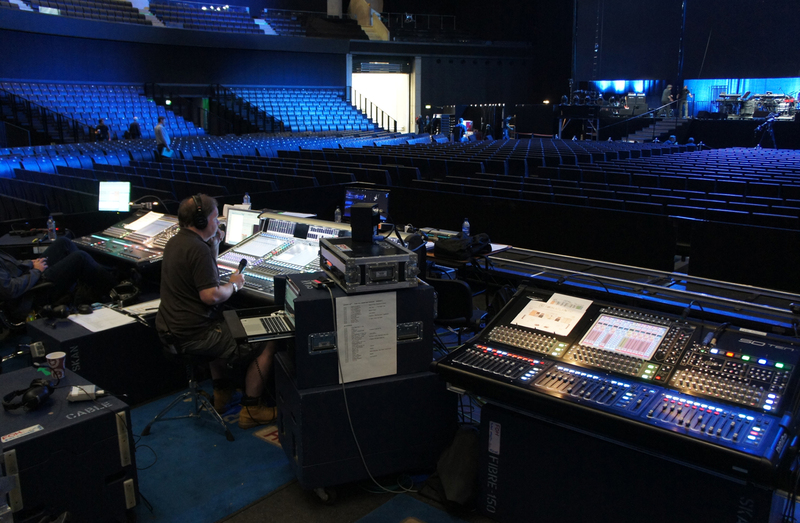 Each of the identical control packages included two Midas Pro9 systems (FOH & monitors) with a 72-channel line system. The package also included 96KHz multi-track record / playback at each end, plenty of outboard and twenty-four IEM systems to cover as much spectrum as possible. In fact, everything required for a MUSE show except the reinforcement. Skan has worked with MUSE for thirteen years through five album cycles (Absolution, Black Holes & Revelations, The Resistance, The 2nd Law and Drones). 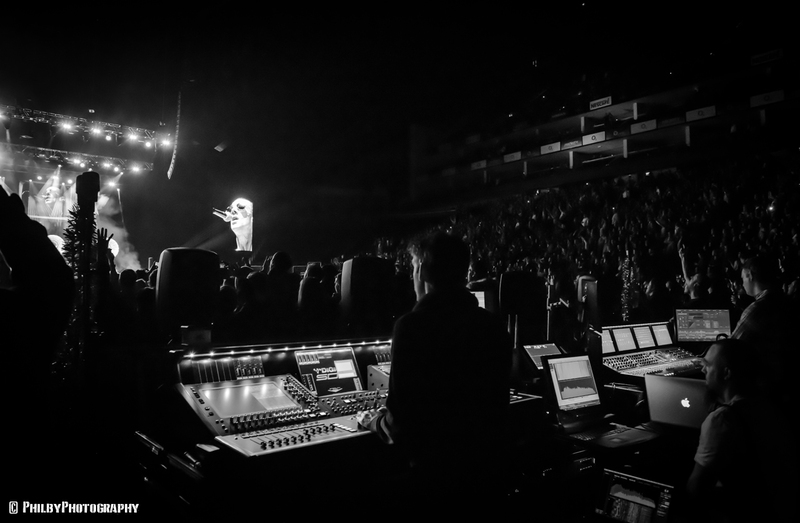 Throughout this time the engineers have been the incomparable Marc Carolan (MC) at FOH and Adam Taylor on monitors. 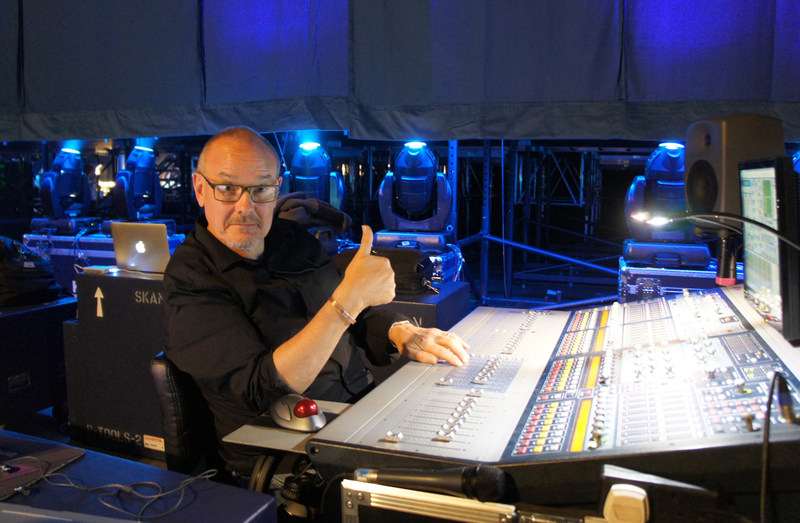 During the Drones tour, Skan PA’s FOH minder has been Eddie O’Brien. Monitor minding / RF planning was handled by Nigel Pepper until he had to return to his day job and was replaced by Liam Tucker who also took the role of crew chief. Whilst the summer 2015 tour was underway, back at base there was a complex planning phase to prepare for the following period of arena touring in the USA, Canada & Europe. 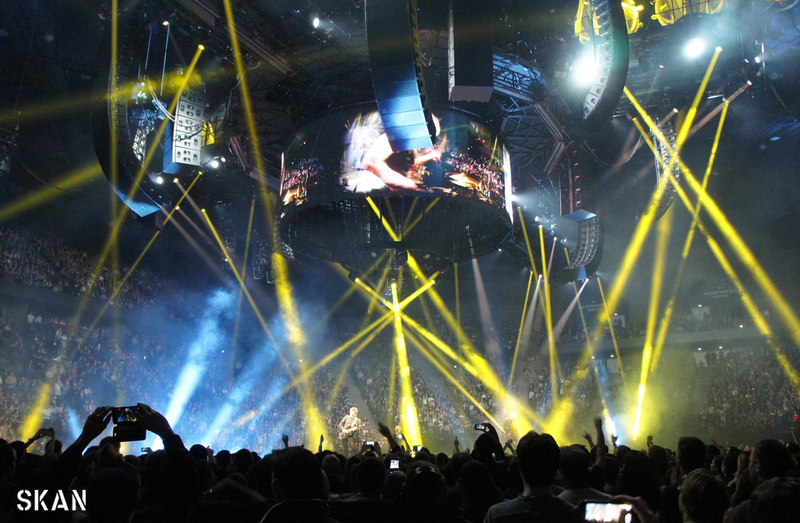 The arena shows were designed in-the-round with no cable drops within the arena allowing clear access for drones to fly. 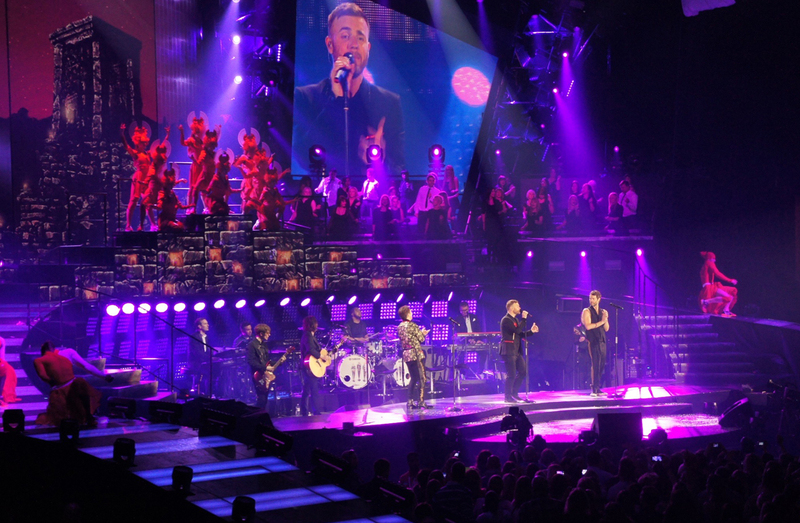 Skan PA’s system was designed by Matt Vickers in collaboration with FOH engineer, Marc Carolan; show designer, Oli Metcalfe; and production manager, Chris Kansy. By late September 2015, Skan were at LS-Live for a test-build of the flown elements which loaded into sea containers in early October. By late October we were in production rehearsals in Los Angeles with the control package arriving separately from Bogota (the other control package still being at sea on the way back from Seoul). 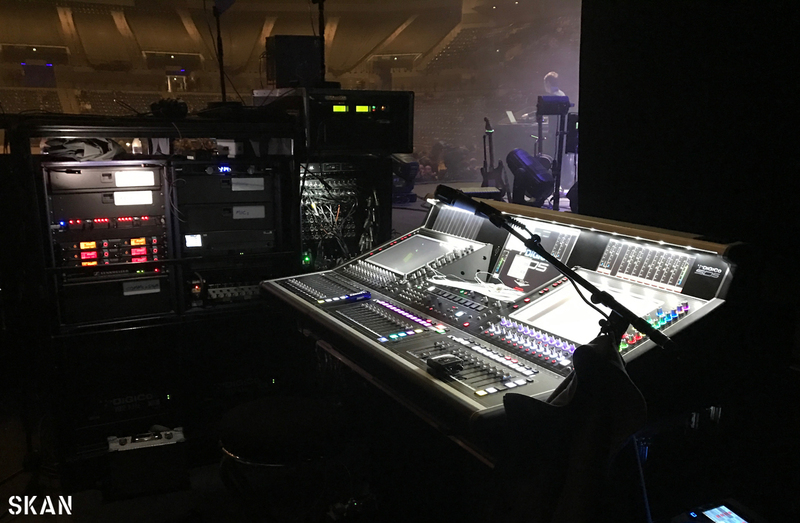 On arrival in LA, the FOH Pro9 was substituted with an XL4 and Pro2C side-car with considerably more outboard to handle the higher channel-count for these shows. 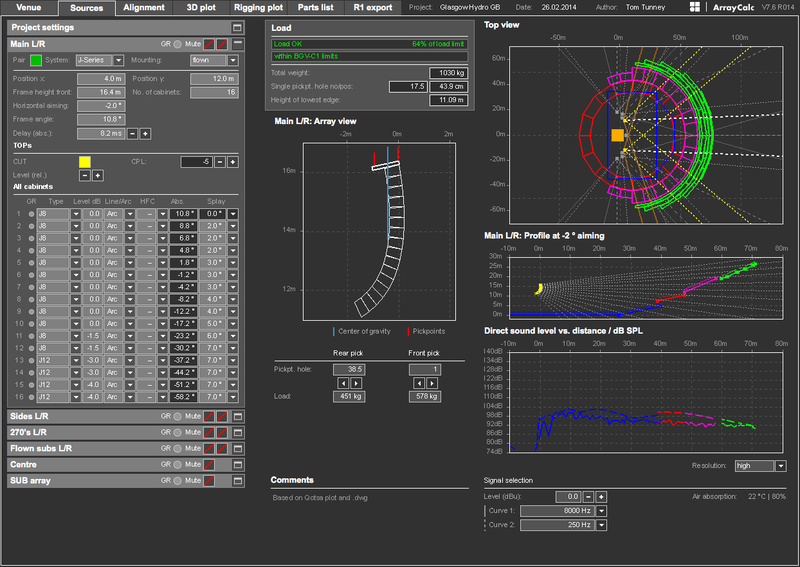 With the show being in-the-round, considerable thought had to be given to network topography and resilience whilst balancing this with an achievable workflow. Matt Vickers’ design called for four hangs of d&b J (long axis); four hangs of d&b V (short axis) and four hangs of J-SUB. 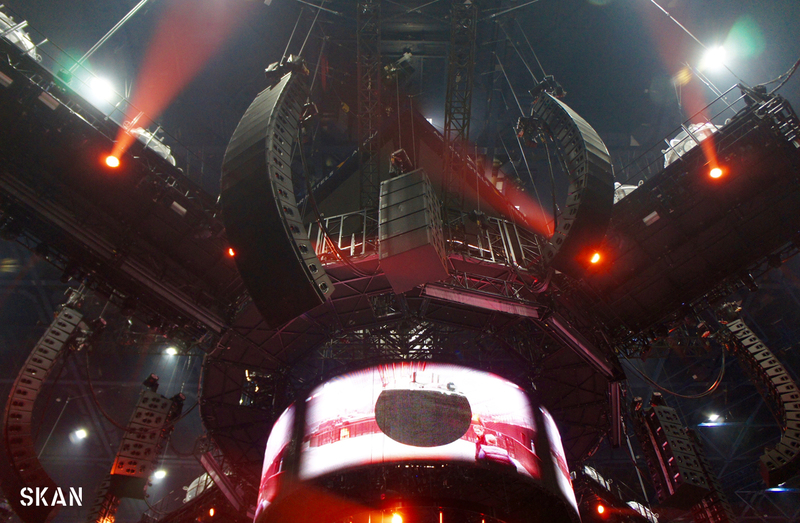 To power this with d&b ArrayProcessing, over seventy d&b D80s were flown in the “space station” above the stage. These were fed from a 400A service (208V in North America / 415V in Europe) with dual OpticalCON fibre providing redundant Dante audio and d&b R1 remote control. Additional analogue back-up was provided with wired comms to Skan’s “flown tech.”, Rob Wilkins. Network infrastructure was designed by Skan’s Tom Tunney and included redundant connectivity to the four pods of flown D80s plus a further set of D80s under the stage for pit sub (J-INFRA; J-SUB & V-SUB) & fills (Y10P). 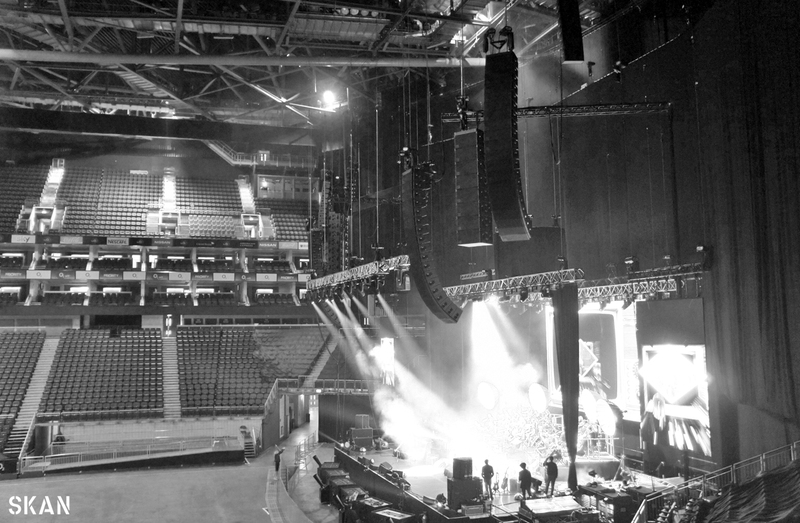 In total, Skan supplied over two-hundred d&b speaker boxes and close to one-hundred D80s for the arena legs. Additional crew for the arenas were Joachim Dewulf (Array Expert), Matt Besford-Foster (wingman / support), Scott Maxwell (wingman / support). With Liam Tucker, Eddie O’Brien and Rob Wilkins, the six Skan crew were able to load-in daily in roughly 2-3 hours with load-outs being around half that time. This safe and consistent speed of installation / removal is a benefit to any tour and is a credit to the touring team and advance design. 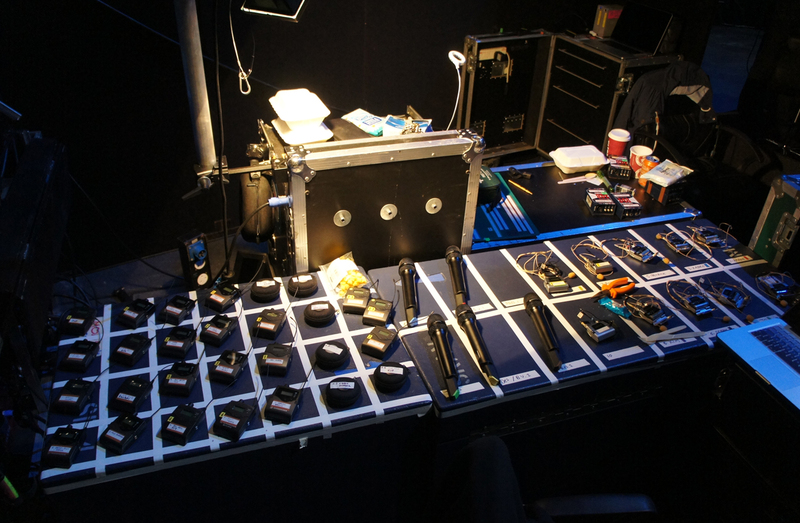 Towards the end of the arena tour in June 2016, a duplicate control package was built to handle tight logistics into various shows including the incredible headline show at Glastonbury festival. 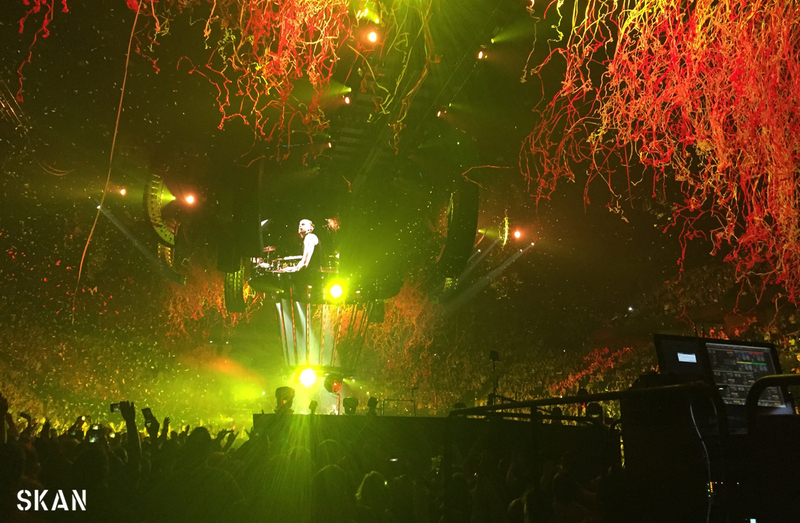 MUSE are known to push boundaries and the “Drones” tour was no exception. Congratulations are due to all involved; Skan are proud to have been part of it. 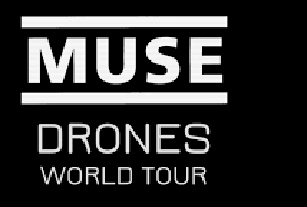 We wish MUSE continued success. 2015 proved to be a busy year and it has carried on into 2016 at the same pace. Here’s a brief round up of the projects Skan have been involed in throughout the winter. 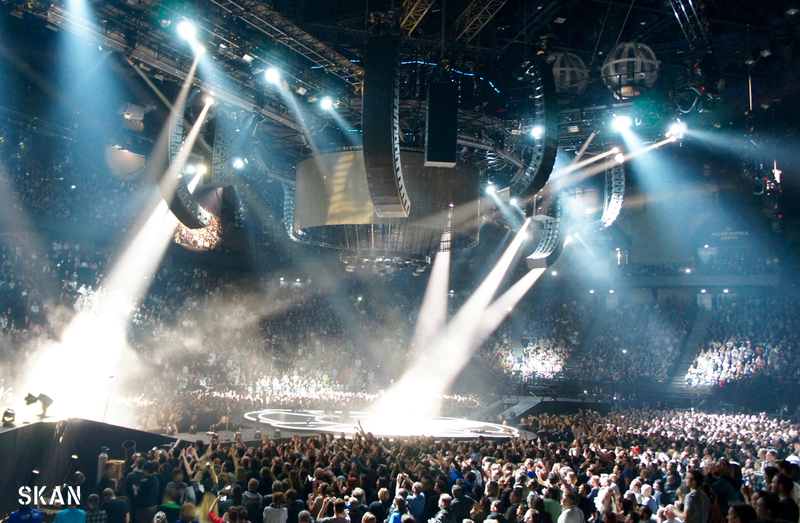 Muse World Tour : Having had a busy summer worldwide with two double Midas Pro9 festival systems, Muse transitioned into their ambitious in the round Drones arena world tour. 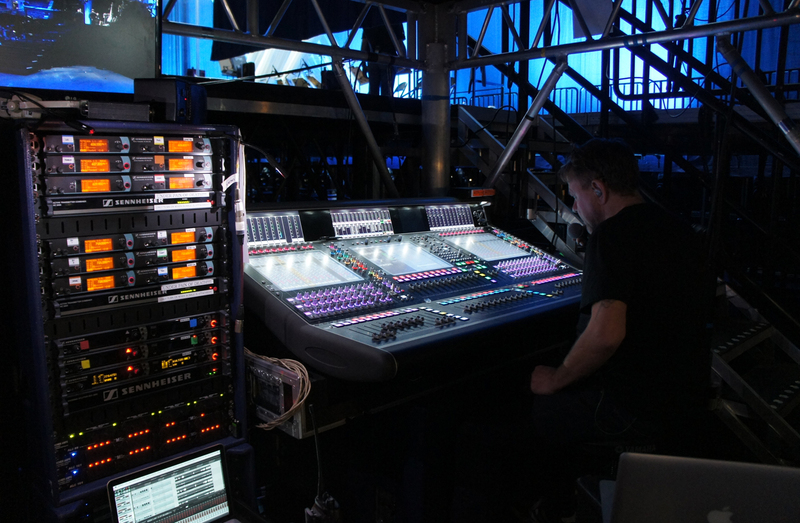 Maintaining a Pro9 on monitors and switching Front of house to a complex XL4 / Pro2 system. Providing reinforcement was a combination of d&b J and V series with AP. The tour spent three months in north America before heading to Europe. 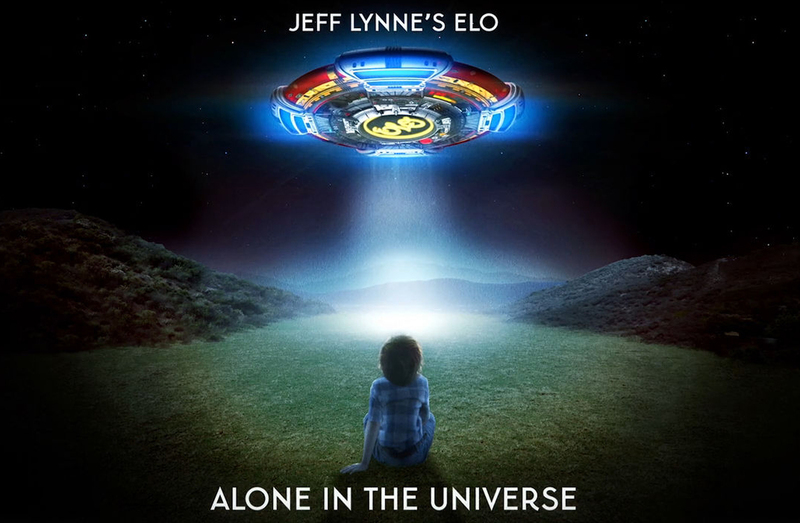 Jeff Lynne’s ELO : To promote the new album, Jeff Lynne’s ELO did promotional TV shows in the USA and UK with a DiGiCo SD7s at both ends. 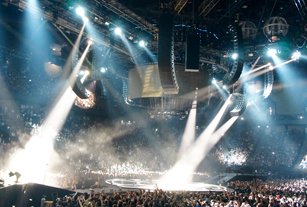 In Spring 2016 Skan will be adding d&b J reinforcement (with AP) for a European arena tour. Def Leppard : In December Def Leppard teamed up with Whitesnake and The Black Star Riders for a UK arena tour. Skan provided SD5s at both ends for Def Leppard plus an Avid Profile at each end for BSR. Reinforcement was d&b J series with AP. James Morrison : Following a break, James Morrison has been promoting his new album with a series of theater shows. 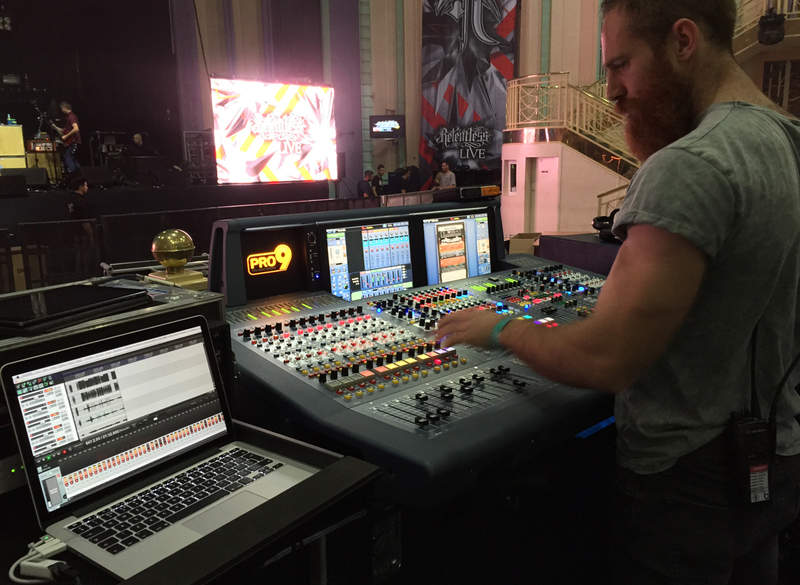 Skan supplied a Midas Pro 2 for Front of House and Avid Profile for monitors. They are also touring a d&b V system for the UK leg. 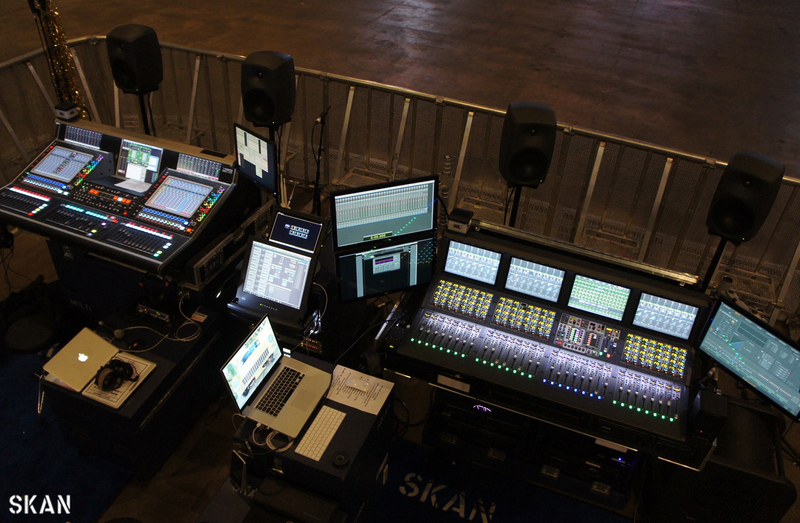 The Chemical Brothers : Continuing from a summer festival run, Skan provide two Midas XL4 for a series of shows in South America. Skan also had Tours and one off shows out with Foals, Reef, Guy Garvey, Disclosure (obo Nitelites), Biffy Clyro and Fat Freddie’s Drop. A big thank you from Skan PA to all our customers and suppliers. We’ve had an amazing year which would be nothing with out you all. Thank you. 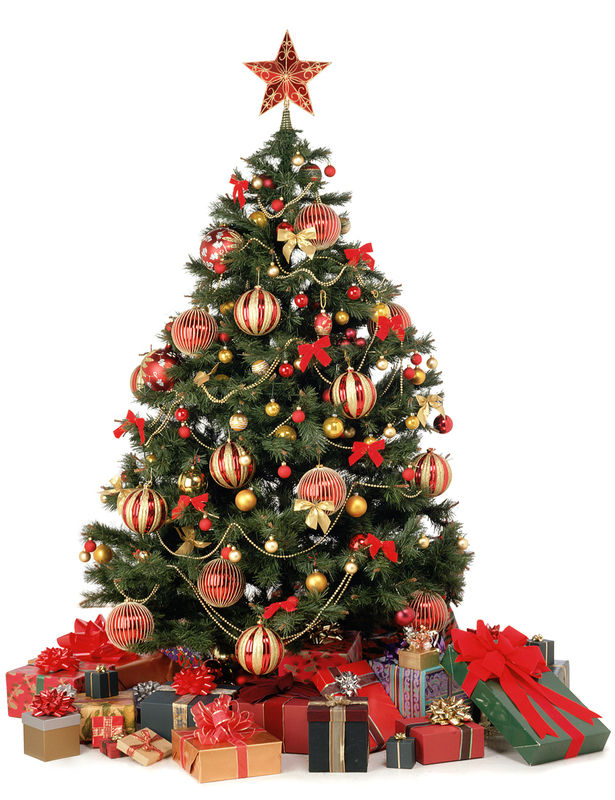 Skan will be closed from midday on Monday, December 21st and will re-open on Monday, January 4th. Over this period, please e-mail and we will come back to you as soon as possible. 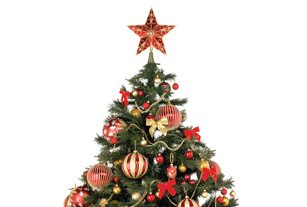 Wishing you a peaceful Christmas and a Happy New Year. 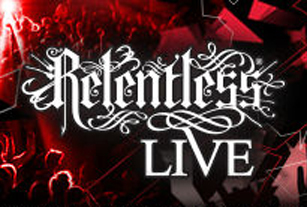 At the request of Biffy Clyro’s production manager, Paddy Hocken, Skan were invited to tender for the recent Relentless Live event by Tom Sabin of Vision Nine HQ. 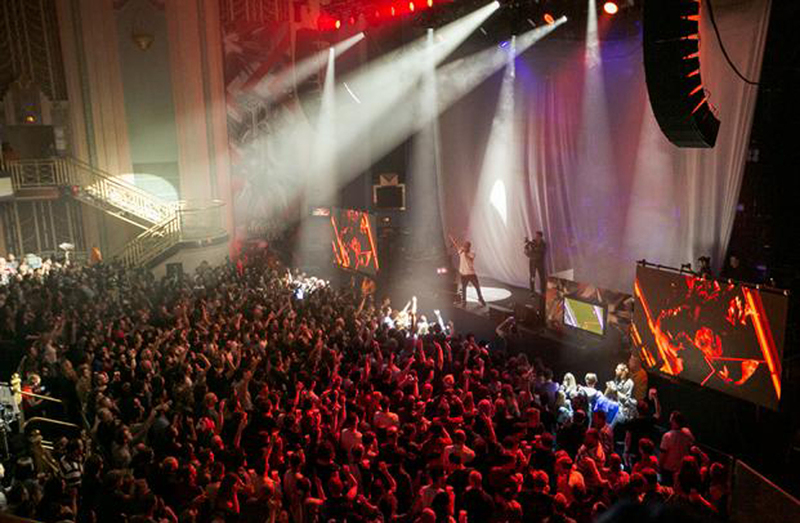 Held at London Troxy on Saturday, November 22nd, the event was energetic & very loud! 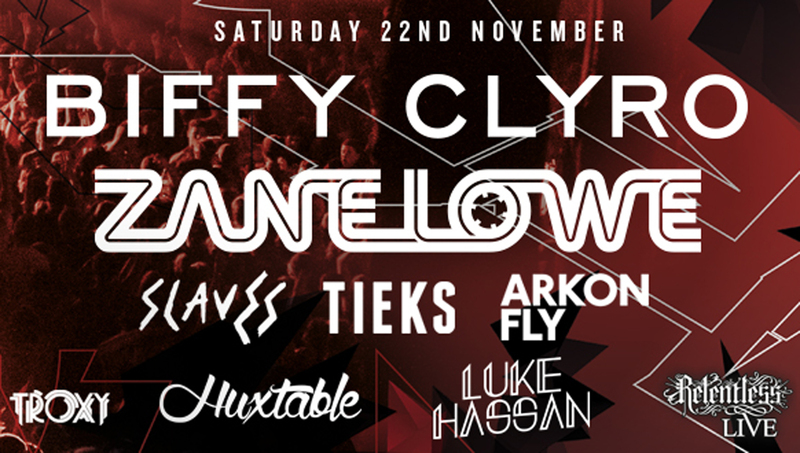 Headline act, Biffy Clyro, were joined on stage by several other bands and DJs including Zane Lowe. 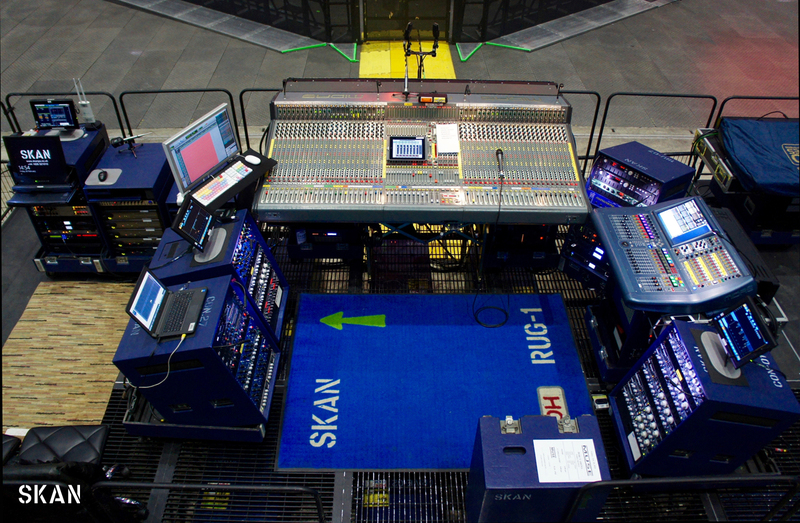 The control system for Biffy Clyro was provided by Skan – on this occasion, the red-system. 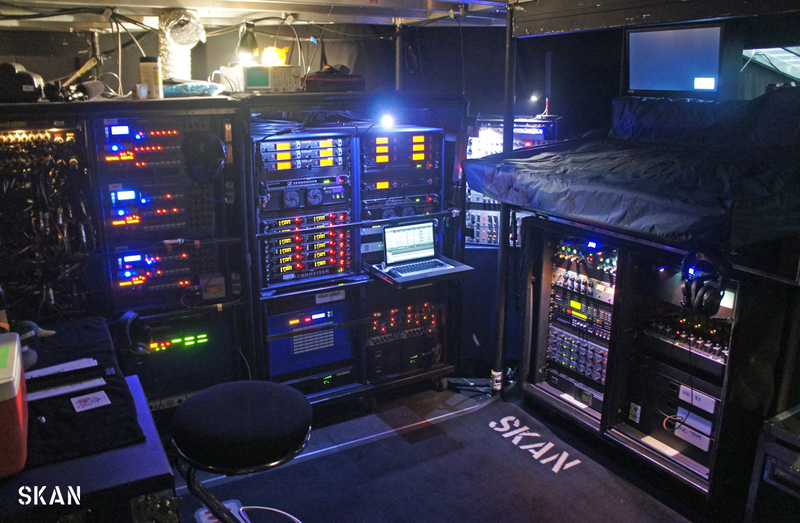 This being one of three duplicate control systems Skan has provided for the band to offer consistent service across the globe. 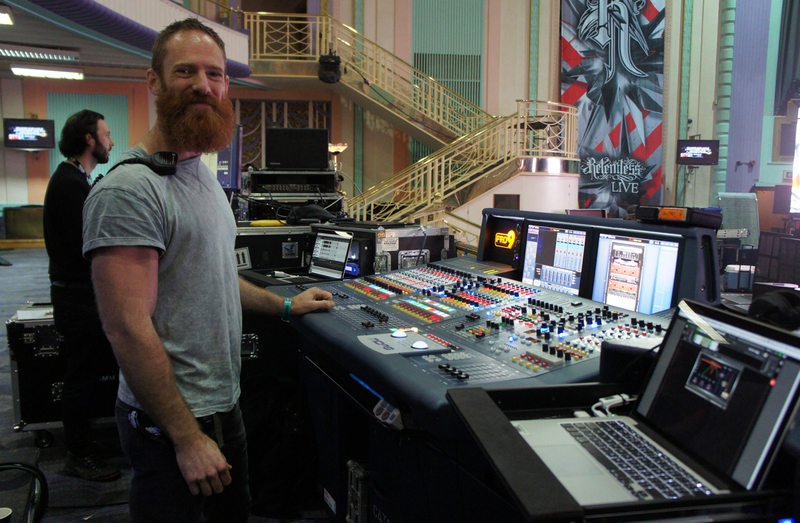 Normally based on a Midas Pro2 at both ends, FOH engineer Jonny Lucas was using a Pro9 to provide sufficient AES50 ports to connect a Waves system and a Reaper multi-track recorder, both of which were hosted on MacBook Pros. The Waves set-up has replaced a rack of outboard. The Reaper set-up has replaced a ProTools system offering a substantial saving in size, weight and cost. 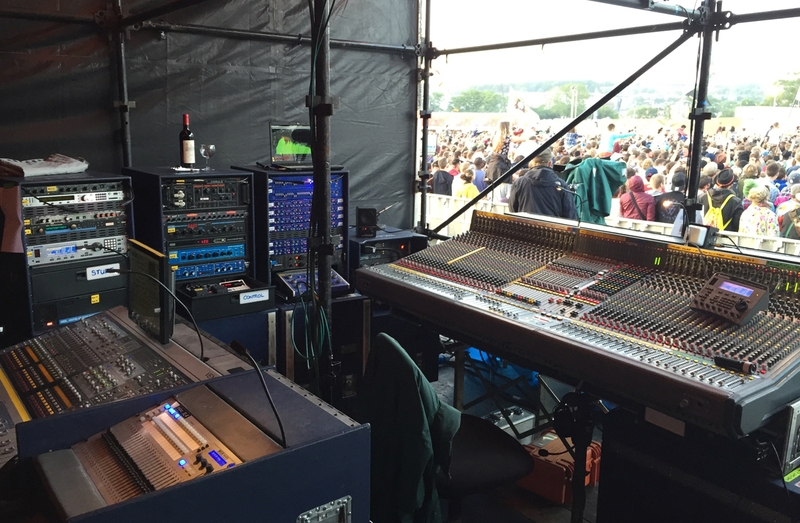 Monitor engineer, Dan Speed, used his standard set-up of Pro2 with Sennheiser G3-IEMs and d&b D80 powered M2s. 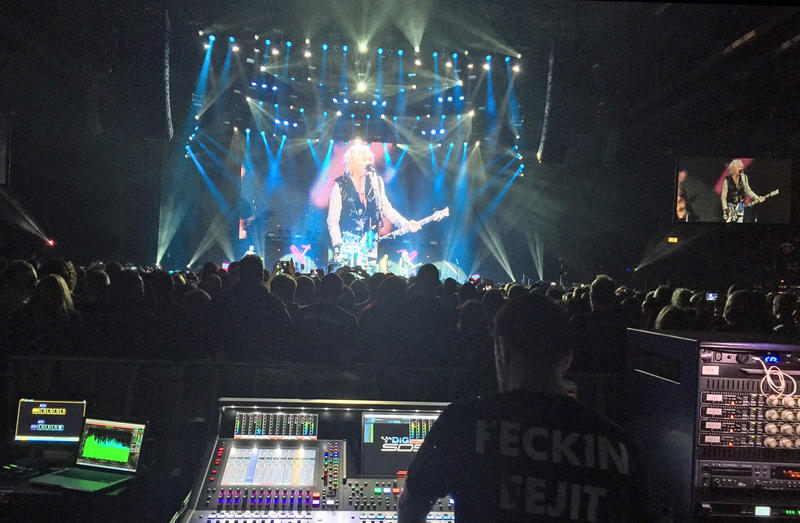 Dan mixes Biffy’s monitors stage-right so stage-left was clear for guest monitors. To cater for the rest of the acts, Skan provided a duplicate control package with a Midas Pro2 at each end with further G3-IEMs, D80s and M2s. FOH reinforcement was all d&b with eight V8 and four V12 flown per side with a pit arc of six J-SUB and four J-INFRA plus Q7 and Y10 fills all powered by D80s. Due to the length of the day, Skan used a split crew with a team working from load-in to doors and a second team working from lunchtime to the end of load-out. The early team was Tom Tunney (FOH) and Richie Gough (monitors). The late team was Ben Sliwinski (FOH) and Onno Ooms (monitors). 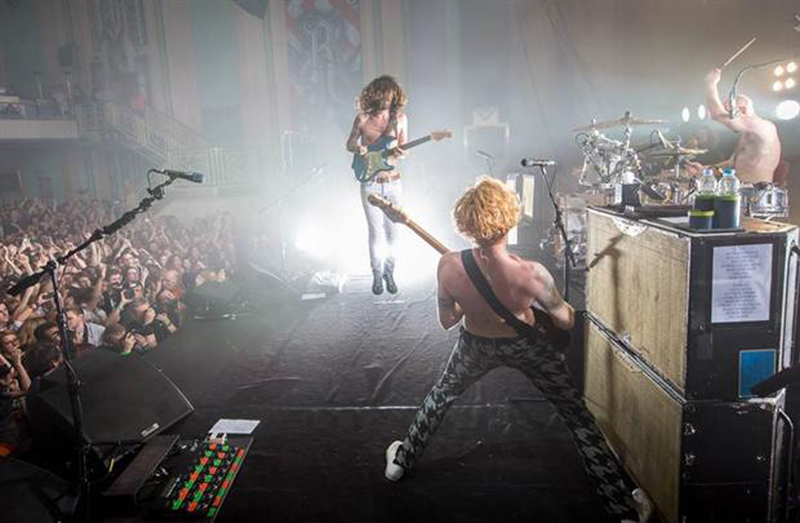 In addition, Skan provided Joachim Dewulf as system tech.for Biffy Clyro. Event production manager, Tom Sabin commented: “Just a note to say thanks to you and all the Skan crew on the show tonight. Would be a pleasure to work with any of you again”. Sincere thanks to Paddy Hocken, Tom Sabin, Jonny Lucas, Dan Speed and all the Skan crew. 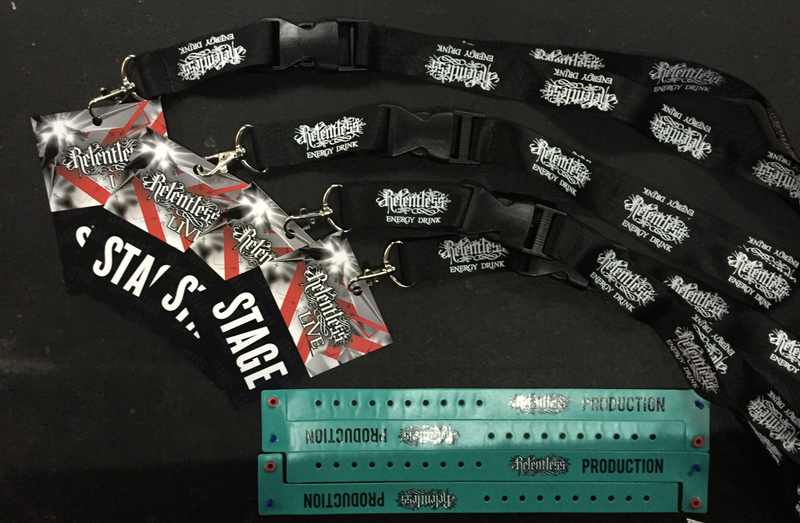 Although often seen as a company focused on touring, Skan is also adept at complex one-off events. 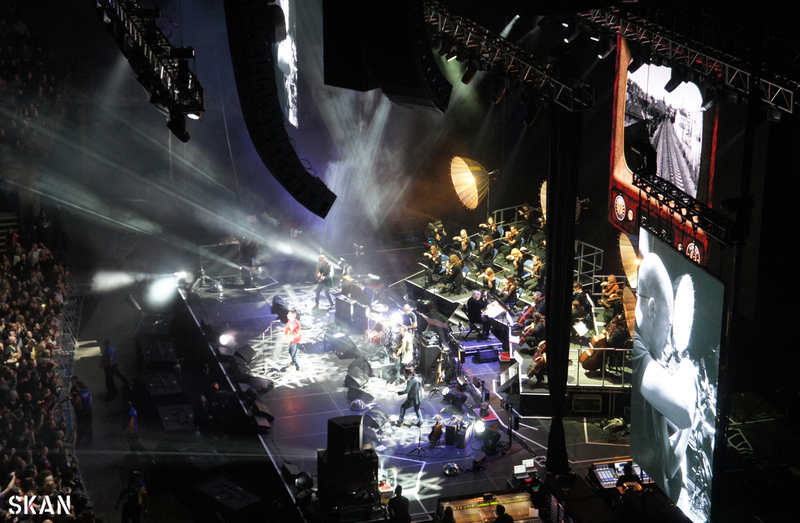 Drawing on Skan’s varied experience in disciplines such as arena speaker design, corporate events, orchestral shows, festivals and radio frequency management, this show had it all! 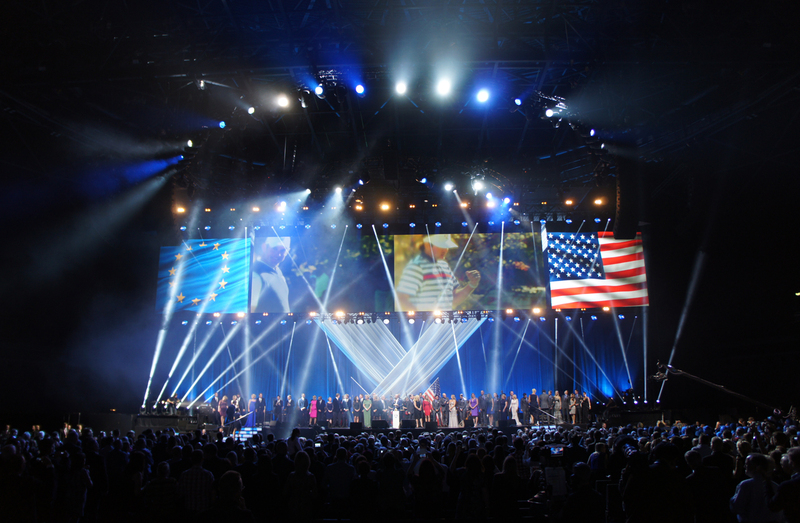 Skan was asked by Chris Vaughan at The Production Office to handle all aspects of the audio for this event. Matt Vickers was Skan’s account handler and also travelled to Glasgow as the crew chief. 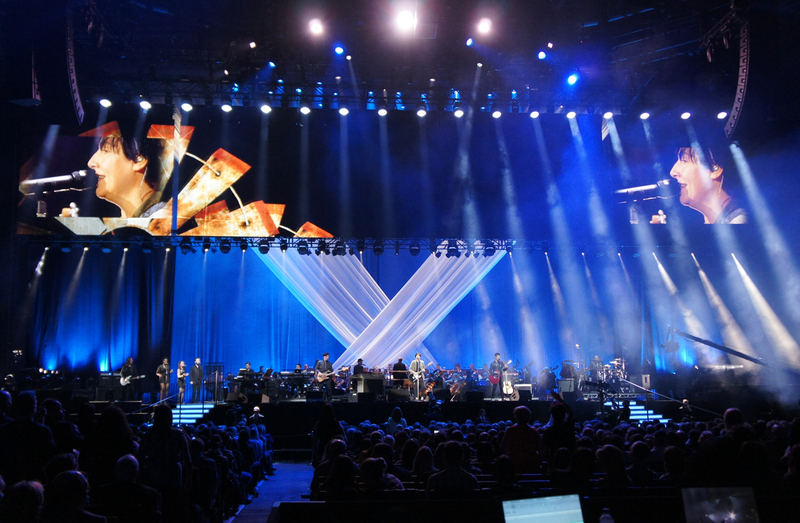 Our sincere thanks go to engineers Gary Bradshaw (FOH), Steve Lutley (monitors), Dan Kent (monitors #2), Martyn Ward (orchestra) plus Chris Vaughan, Zoe Buttling, Cally Harris and all the team at TPO. 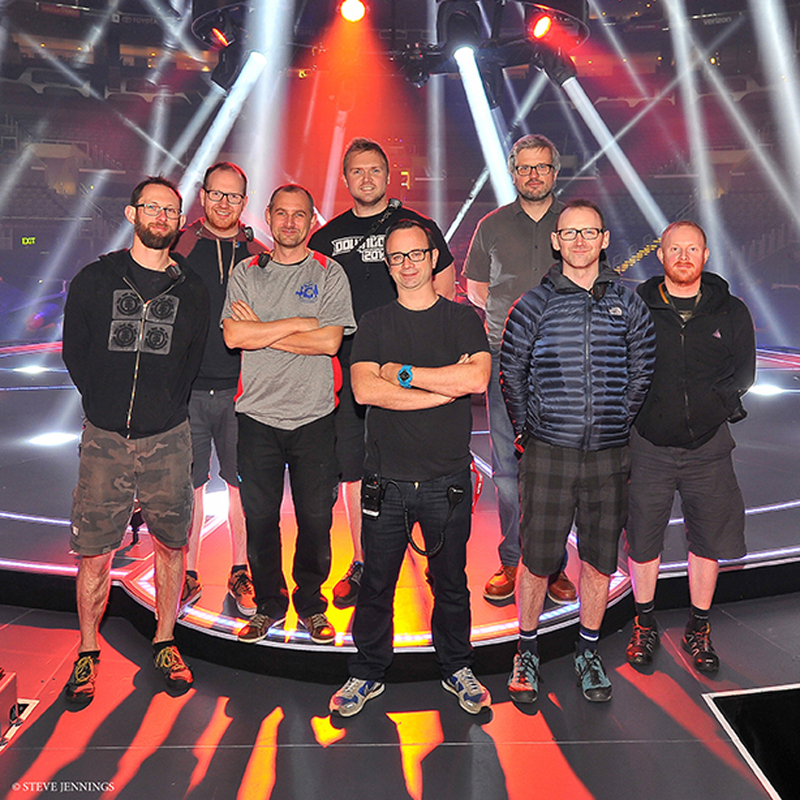 Thanks also to a cracking Skan team: Tom Tunney (technology), Liam Tucker (RF), Tony Smith (FOH #2), Onno Ooms (FOH minder), Glen Fuller (monitor minder), Craig Bruce (orchestra) and Ben Sliwinski (wingman). 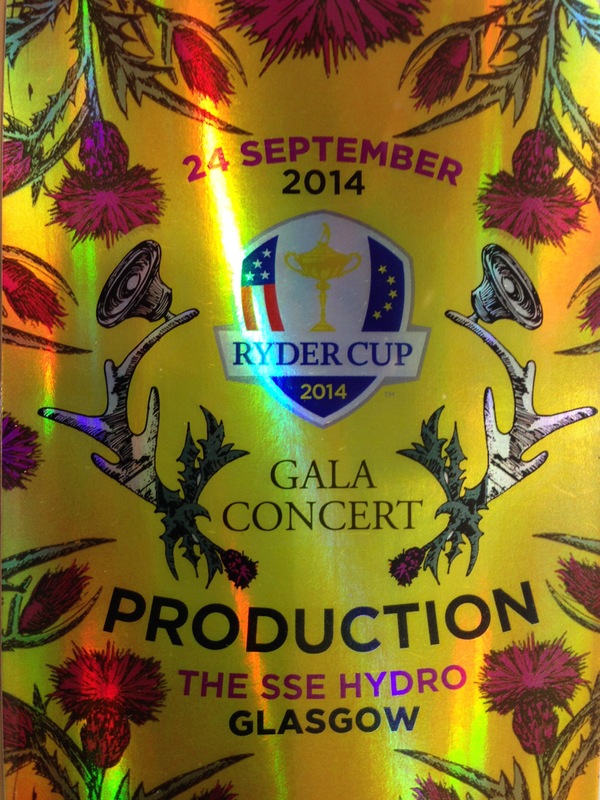 Rehearsals started at Cato Music on September 15th directly after the load-out from Jeff Lynne’s ELO at Hyde Park. 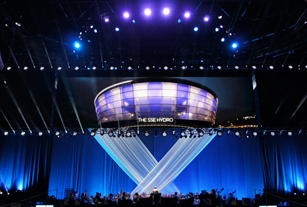 After five days, the crew and band moved up to the SECC to continue rehearsing with the addition of the orchestra. 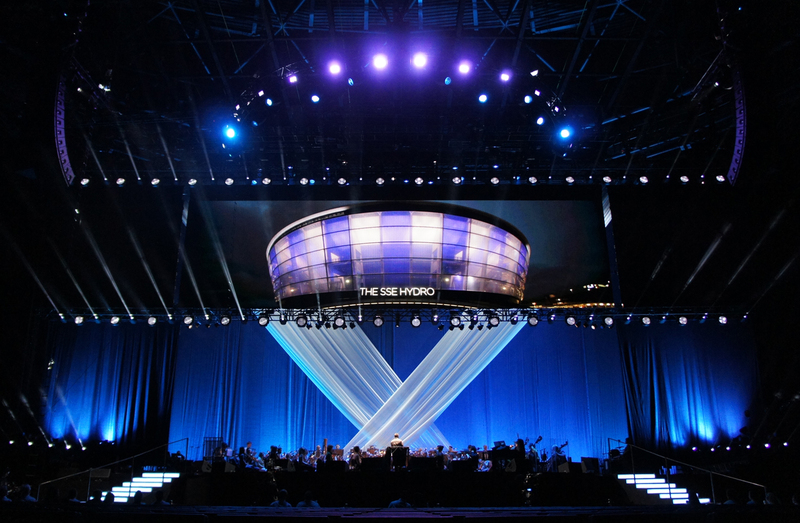 Following this, we had one full rehearsal day in the Hydro before the show itself. With over two hundred channels in use, we used five DiGiCo consoles (two SD7s, two SD10s & one SD5) plus a PROFILE for the orchestra sub-mix. Inputs included over forty DPA4099s for the orchestra and twenty Sennheiser radio mics (SKM5200 handhelds and SKM5212 body-packs). Monitoring included d&b M2 and M4 wedges plus around one-hundred and fifty Sennheiser EK2000-IEM packs with twenty transmitters. In total, Skan coordinated sixty-six radio frequencies. FOH reinforcement consisted of seventy-two d&b J (mains, sides & 270s) with twenty J-SUBs (flown & pit) all powered by d&b D80s. With OCA implemented, the D80 has become the amplifier of choice for Skan’s d&b inventory. The drive system included Lake LM44s with Teqsas Cybertec devices linked by fibre to provide a Dante/ OCA backbone. Thanks to everyone involved for creating such a fantastic event.